Rub-a-dub-dub there's a pup in our tub! Have a splashin' bubble bathin' good time at the Pups'n Suds Dog Wash Fundraiser at CH Pet Gifts this Saturday. 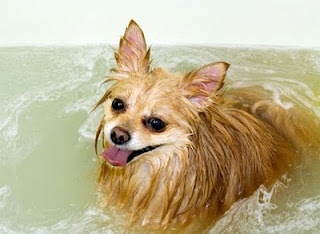 For a small donation of $5 we'll be offering dog baths using our luxurious pet spa shampoos. From delicious fruity deodorizing scents to puppy formula to hypoallergenic shampoo there will be something available to take care of dogs with any skin type. All money raised will be given to Greyhound Pets of America, Wisconsin. Visit their website at www.gpawisconsin.org and come meet them in person at the dog wash.
Plus save money with 20% off all spa products (shampoos, towels, nail-clippers and much more) this Saturday only. Help us make a difference - bring you dog by Saturday for a summer bath! Did you know that there are special playdates available for tri-pawd (the name affectionately given to animals with one leg missing) dogs in Dane County? I had no idea either until an awesome reader clued me in to these events. "Tri-pawd Pawtys" (inspired by tripawds.com) are an opportunity for people with three-legged dogs to come together for fun, support, or to share tips. And of course the dogs get to have fun and frolic too! Dogs with any number of legs are welcome to play along. 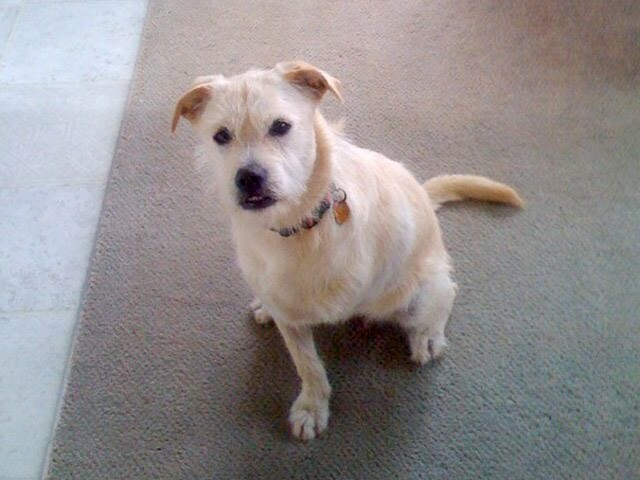 The next Tri-Pawd Pawty is scheduled for July 10, 2010 at at 8:30 am at the Badger Prairie Dog Park in Verona. If you'd like more information on this event or future events, you can email Brister82 [at] aol.com to be added to their mailing list. Please be sure to check out the Tripawds website for more information about dogs who have lost a limb. It is a great resource! CINCINNATI, May 5, 2010 /PRNewswire via COMTEX/ --The Procter & Gamble Company (NYSE: PG) has signed an agreement to acquire Natura Pet Products, Inc., a privately-held pet food business based in Davis, California. This move enables P&G to expand into the attractive "holistic and naturals" segment of the pet food category, complementing P&G's current Iams and Eukanuba brands and helping the Company advance its overall growth strategy of "reaching more consumers in more parts of the world more completely." Natura's brands include Innova, Evo, California Natural, Healthwise, Mother Nature and Karma. These brands are sold in a limited number of pet specialty stores and through veterinarians, mainly in the United States and Canada. "These outstanding brands and the great employees of Natura Pet Products will complement our Eukanuba and Iams brands very well," said Dan Rajczak, senior vice president of P&G's global pet care and snacks businesses. "This acquisition gives us a strong position in the holistic and natural pet food segment. It will enable us to enhance the health and well-being of even more dogs and cats and represents an exciting new source of growth for our business." "It's time for the right company to take our brands to the next level of growth. P&G is that company," said John Rademakers, founder and owner of Natura Pet Products. "We know that P&G will honor our history as they capitalize on their strengths to build these brands." Natura Pet Products employs about 140 people, mainly at its production sites in San Leandro, California and Fremont, Nebraska. P&G is targeting to close this deal in about a month, subject to customary closing conditions and regulatory clearances. Specific terms of the deal are not being disclosed. Four billion times a day, P&G brands touch the lives of people around the world. The company has one of the strongest portfolios of trusted, quality, leadership brands, including Pampers(R), Tide(R), Ariel(R), Always(R), Whisper(R), Pantene(R), Mach3(R), Bounty(R), Dawn(R), Gain(R), Pringles(R), Charmin(R), Downy(R), Lenor(R), Iams(R), Crest(R), Oral-B(R), Duracell(R), Olay(R), Head & Shoulders(R), Wella(R), Gillette(R), Braun(R) and Fusion(R). The P&G community includes about 135,000 employees working in about 80 countries worldwide. Please visit http://www.pg.com for the latest news and in-depth information about P&G and its brands. For those not aware of Procter &Gamble, they are a huge conglomerate which manufactures many popular brands including those listed above. Unfortunately, because they are a large corporate entity, the quality of their pet food seems to suffer. All the popular, high-quality pet foods sold by Natura- Innova, Evo, California Naturals, Healthwise and Karma- will now be part of the Procter & Gamble super-conglomerate. Before you make a decision one way or the other regarding whether to continue feeding foods previously produced by Natura, make sure you do your research into Procter & Gamble to decide whether their values and pet food quality meet your expectations. 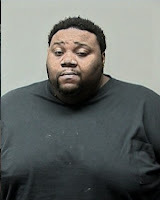 Dwayne Johnson, the Madison man accused of beating a puppy to death with a flashlight, was scheduled for his sentencing hearing with the Dane County Circuit Court on June 4, 2010 after entering a no contest plea on March 2, 2010. A bench warrant was issued for Mr. Johnson, as he failed to appear for his sentencing hearing on June 4. For details on the accusations in this case, click here. Do you or someone you know love to golf? If so, you have the perfect opportunity to enjoy the links and help out the Dane County K9 Unit all at the same time...Putting for Pooches! 100% of the money raised at this event will go to benefit the Dane County K9 Unit, and will assist them to purchase new dogs, train and maintain dogs, and keep the program running strong! 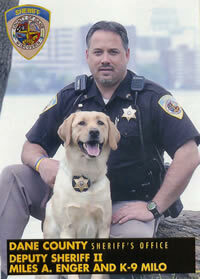 The Dane County K9 Unit, Inc. is a not-for-profit public charity (501c3) dedicated to providing for the current and long-term funding needs of the Dane County Sheriff’s Office K9 Unit. The Putting for Pooches registration fee includes 18 holes of golf (with a cart), a K9 polo shirt, a box lunch and a pig roast dinner. When: Saturday, June 26, 2010 – Registration at 9:00 a.m.